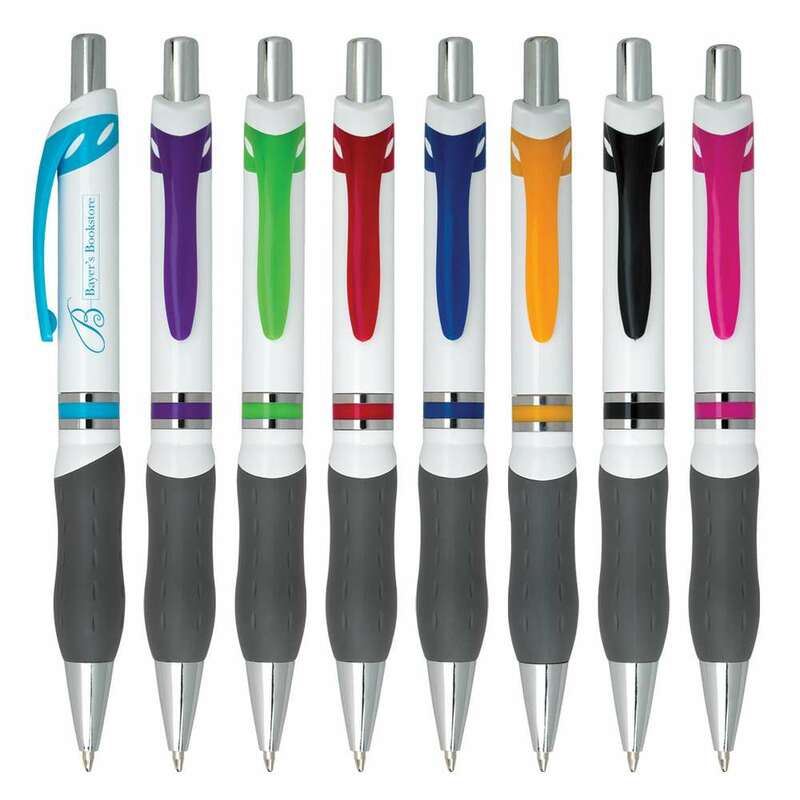 The Campus Pen is a colorful and comfortable pen, with a soft contoured grey rubber grip, making it easy to hold and convenient to write with, for long periods of time. It has a plunger action, with black ink, and a medium point. 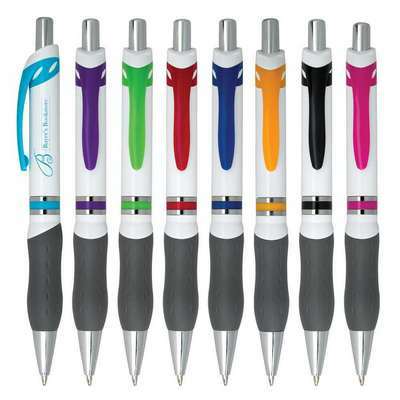 The Campus Pen is a colorful and comfortable pen, with a soft contoured grey rubber grip, making it easy to hold and convenient to write with, for long periods of time. It has a plunger action, with black ink, and a medium point. It has a white barrel with lime green, purple, yellow, red, light blue, fuchsia, black, or royal blue trim. Print the barrel, with your company’s logo, using standard silk screen colors. Use it as a giveaway, to promote your brand; at trade shows, seminars, schools, workshops, and colleges, to reach a wide customer base.